PARAFON Expanded Metal Cassette is an integrated acoustic panel for exposed locations and environments. 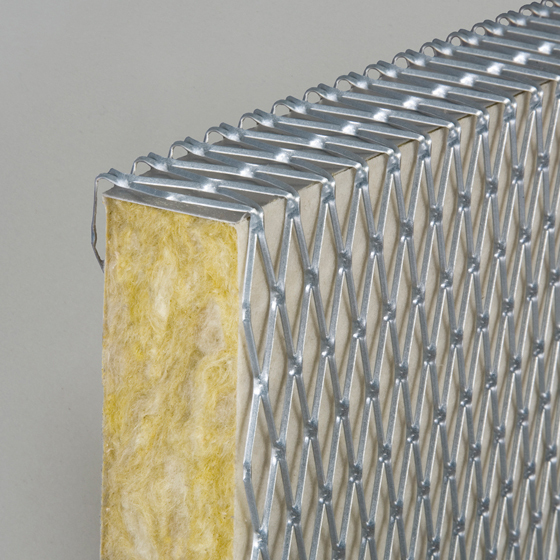 The surface protection consists of expanded metal made of galvanized sheet around a PARAFON Buller acoustic panel made of non-combustible mineral wool with the highest fire classification, A1, in accordance with EN 13501-1. 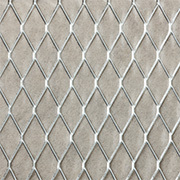 Expanded metal netting with acoustic panel – Natural, White or Black – behind. Back side: Thin glass fiber tissue. On the long sides, the expanded metall is bent over the edge to the back of the panel, and there is a metal sheet under the grid to reinforce the edges. Installation to wall either horisontally or vertically with profiles. Dry cleaning using a soft brush or by vacuum cleaning. Wet cleaning by wiping with a damp cloth or sponge.